Bellier-Bulletin, the Anglo-Dutch communications group, presented Europe’s largest business district, Paris La Défense, and leading French executives to the British media and UK companies at a Brexit briefing and press roadshow on October 18. 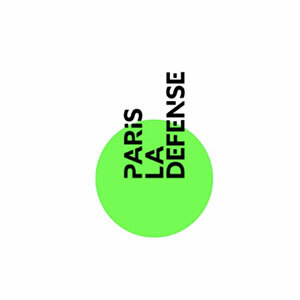 Marie-Célie Guillaume, CEO of La Défense, was heading a delegation showcasing Paris’s vibrant business centre to property investors and developers. She was also holding a series of meetings with companies looking to relocate to the French capital in the wake of Brexit. La Défense were keen to win maximum coverage for the two-day visit – nationally and internationally. And that’s what they got. The press day started with live broadcasts on important business show Wake up to Money on BBC Radio 5 Live and Newsday on the BBC World Service. A subsequent interview with the Press Association yielded coverage on the world’s most visited English-language newspaper website, the Daily Mail, and more than 150 publications across Britain and internationally. A joint investor/press briefing and panel discussion, moderated by Bellier Managing Director Steve Hays, attracted journalists from Europe’s leading property trade publications and the French media, including Agence France-Presse, Le Monde, RTL, Europe 1, L’Opinion and Les Échos. The London Evening Standard, the UK capital’s premier news outlet also covered the event. TV interviews were carried out with Channel 4 News, Sky TV News and Agence France- Presse TV. The event, organised by the Paris-based communications agency Treize Cent Treize in partnership with Bellier-Bulletin, was a huge success for the French team, achieving all its objectives.